Briefly, the plot deals with internationally famous actress Maria Enders (Juliette Binoche), who rose to fame in a play in which she portrayed a young seductress named Sigrid involved in a relationship with her employer, Helena, an older woman who becomes obsessed with Sigrid and eventually commits suicide. Ms. Enders is in the Swiss Alps when she hears that her mentor, who wrote the play, has died. She is also informed by her faithful assistant, Valentine (Kristen Stewart) of a remake of the now 20 year old play to be directed for the London stage by a young wunderkind, Klaus Diesterweig (played by German actor Lars Eidinger). Klaus wants Maria to star in the new version … only this time she is to be cast as Helena. 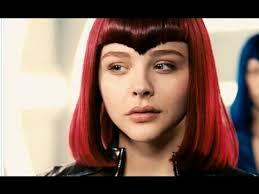 The director wants Jo-Anne Ellis (Chloe Grace Moretz), a Young Hollywood wild child (comparisons to Lindsay Lohan are inevitable) to play the role of Sigrid. 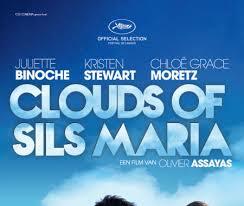 I am informed that writer/director Olivier Assayas based his play loosely on Ms. Binoche’s real career. (He directed Ms. Binoche, still in her early 20s, in her first starring role, the 1985 French film Rendez-Vous.) Just as Maria is struggling with the idea that she is now too old to play Sigrid, Ms. Binoche may be coming to terms with her age and the range of roles available to her. And some reviewers have interpreted Ms. Stewart’s dialogue as Val as the actress’ defence of films in which she has starred like The Twilight Saga and its sequels and Snow White and the Huntsman. “The Assayas faithful will no doubt find pleasure in unearthing the supposed layers on display here …”, writes Mr. Landis. Indeed, the reviewers and commenters on various websites have come up with a head-spinning number of theories. Some commenters have even suggested that the character of Val is imaginary and exists only in Maria’s head. For my part, I rented the DVD because I kept reading all the positive buzz the film received at TIFF (Toronto International Film Festival), Cannes (where M. Assayas was nominated for the Palme d’Or) and the Cesar Awards (where Ms. Stewart won the French equivalent of a Best Supporting Actress Oscar). Yes, it was talky (but what thought-provoking dialogue!) and I didn’t always understand what was going on (“Assayas summons an air of unmistakable mystery, leaving much unexplained … writes Anthony Lane in The New Yorker) but I liked the verbal duels between Mme. Binoche and Ms. Stewart. Many critics professed surprise at the sophistication of Kristen Stewart’s acting in this film. To this blogger Ms. Stewart has always seemed to be a performer who took her craft seriously, signed on for a role in a movie and found herself at the center of a pop cultural phenomenon. (Perhaps that explains her dour expression in those infamous photo ops for The Twilight Saga.) Anyone who doubts Ms. Stewart’s acting chops should see 2008’s What Just Happened. Her performance as Robert de Niro’s enigmatic daughter still haunts me. As for Chloe Grace Moretz I have been a fan in all of her various incarnations and in this film she finally gets \n opportunity to play the kind of mature role I sense she has always wanted. Inspired by each other, all three actresses are at the top of the game (even if I didn’t pick up on all the nuances of their performances. 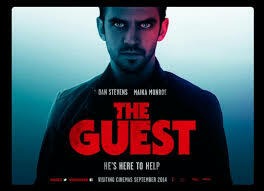 Dan Stevens very wisely chose the role of a remorseless killer in the indie production THE GUEST for his first starring role in an American film following his move from UK to USA. The way I interpret this is that he wanted to distance himself from the role of Matthew Crawley in PBS-TV’s Downton Abbey (his breakthrough role). I gotta say he is very convincing as a murderous man of action although, strictly speaking, it is not the fault of the character he plays. To figure that one out you’ll have to see the DVD. (Not surprisingly, the film did better at the box office outside the U.S.) The film also features Sheila Kelley (remember her from TV’s L.A. Law?) and young Maika Monroe, who achieved instant fame in the horror thriller It Follows.